That’s right, when you get right down to it, the process of marketing your content draws heavily from the process of marketing your products. I treat each piece of content Eloqua publishes like a product. Every new asset has a target audience, a list “price” (gated, ungated, hybrid) and an upgrade road map. Most content we publish is supported by a PR push, a direct marketing element, and a media buy. Content that “sells” (is downloaded, shared, liked, commented on) gets more funding; content that doesn’t is retired. Sound familiar? It should. These are the basics of product marketing. There’s a content marketing parallel, particularly as content becomes a service. Before you create your next supercool presentation, infographic, video or eBook, pause to ask yourself why you are creating it. Are you interested in the subject, or is your audience interested? Is it filling a discernable need, or just making noise? If you aren’t sure, vet the idea with customers, dig into long-tail search queries, and scour Q&A sites like Quora for interesting yet unanswered questions. Float a trial balloon on your blog. Just make sure you aren’t publishing content in search of an audience. We’ve all heard it said: “Better, faster, cheaper . . . pick two.” The maxim, which is as old as tech marketing itself, reduces the universe of product benefits to three essentials and acknowledges that the baseline for success is achieving two of the three. Better, faster, cheaper can be repurposed for content marketing. “Shorter, fresher, more visual . 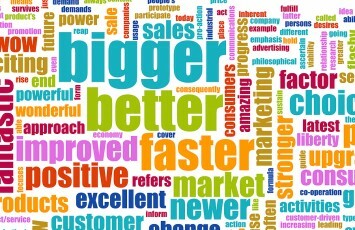 . . pick two,” should be content marketing’s answer to better, faster, cheaper. If the piece of content you aim to publish isn’t more succinctly written, more intelligently designed, and/ or it doesn’t contain a fresher or more unique perspective than what’s already out there, then it’s unlikely to take root. The social web is a crowded place. Make sure to meet at least two of these three criteria if you expect your content to stand out. Do you have “permission” to publish? There is a funny storyline in NBC’s hit series, “30 Rock” in which Alec Baldwin’s character, the revenue-obsessed programming honcho for a Podunk cable network, decides the company should manufacture sofas. He implausibly argues it’s a natural fit for a television network to make furniture because viewers sit on furniture while watching TV. Baldwin’s absurdist vision for product marketing not only makes for must-watch television, but it also provides a useful lesson for content marketers. While your content shouldn’t necessarily center on your product, it should focus on subjects reasonably connected to your goods or services. Be sure to ask yourself if you have “permission” to create a particular piece of content. Does your organization have the authority required to publish a definitive guide to a topic? Would your followers look to you to make predictions about how a particular industry will change or evolve? In other words, just because you might want to make sofas, it doesn’t mean buyers will consider you to be a credible manufacturer that they would buy from.